Night insects broke out in spontaneous chorus across the darkening landscape of La Yarada. I plopped down beneath a fig tree and glanced wearily at the rosy horizon. How would I muster the energy to get home? After trudging across fields all day long, my strength was failing me. As I imagined bedding down in the field for the night, Juana approached. With a smile on her face, she dropped a box of tomatoes next to me. "Fresh from the garden. Enjoy!" she said simply. Nestled in the fertile coastal area of Southern Peru, La Yarada is known for fresh produce: figs, tomatoes, watermelons, pears, and olives. Despite my exhaustion, I managed a smile and warm thank you. "Until we meet again," replied Juana. I strained to lift the box, which must have weighed over ten pounds. My mind began to race with the possibilities: homemade Mexican salsa, pico de gallo, Italian spaghetti sauce. . . By the time we arrived home and staggered through the front door, we had to settle for fresh tomato sandwiches. A good night's rest renewed our spirits. At my husband's urging, I decided to whip up a batch of homemade tomato soup. What's special about this recipe? Roasting the tomatoes intensifies their sweetness and makes for a richer soup. Borrowing a Peruvian kitchen technique, we use bread to both thicken the soup and give it silky texture. Try the optional cream for additional creaminess or a dollop of fresh basil pesto for an Italian flare. After tasting this soup, you'll agree: there's nothing like homemade! Preheat oven to 350 Fahrenheit (175 Celsius). Cover two baking sheets with aluminum foil for easy cleanup. Arrange the fresh or canned tomatoes in a single layer on the baking sheets. Place them in the preheated oven. 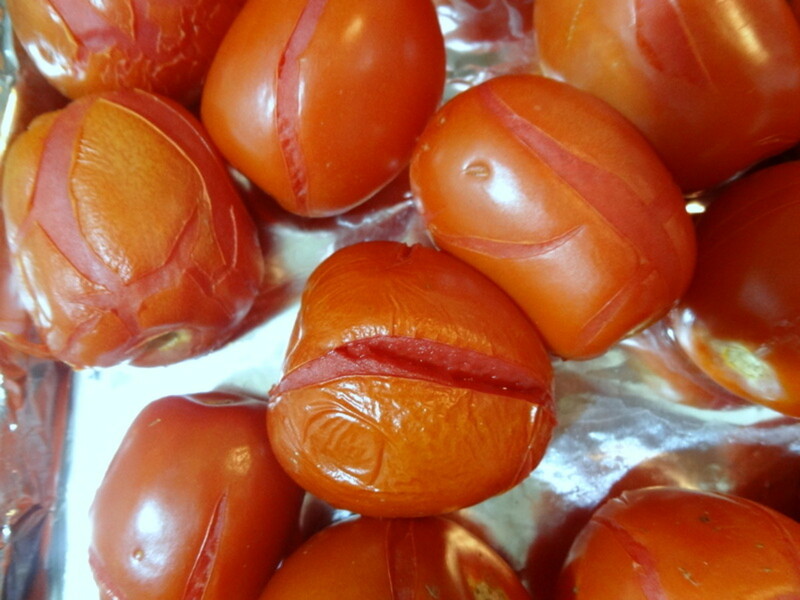 Bake the tomatoes for about one hour, until the skin splits and the tomatoes soften. Remove them from the oven. When they've cooled enough to touch, peel the skin and remove the stem end with a serrated knife. If you're using a food mill, there's no need to peel the tomatoes. In a medium pot, saute onion, bell pepper, carrot, and garlic in olive oil and butter until translucent, about 10 minutes. 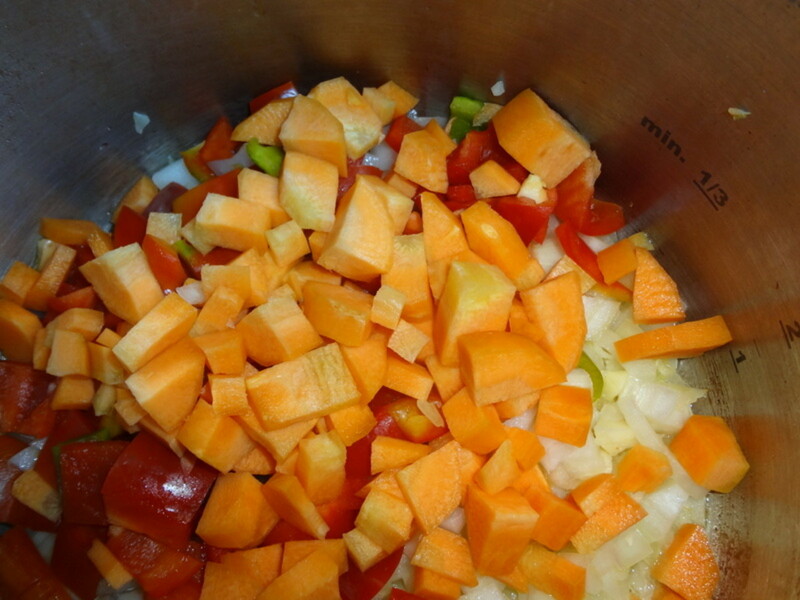 Place the sauteed veggies, tomatoes, and tomato paste in a blender container and blend until smooth. If using a food mill, process the tomatoes. Blend the other ingredients separately. Return the pureed ingredients to the pot. Season with salt and pepper. Simmer for about 30 minutes, until the soup is fragrant. Sample the soup. Thin with cream or broth if necessary. If too thin, return a small portion to the blender container and blend with the bread to thicken. Taste and adjust the seasonings. Enjoy! Garnish soup with freshly grated parmesan cheese and garlic croutons. Swirl a spoonful of fresh basil pesto into the hot soup. Sprinkle in some freshly ground pepper. Serve soup with garlic parmesan toast and a glass of wine. Grilled cheese sandwiches and tomato soup make a great pair. If you own a food mill, there's no need to peel the tomatoes. A Vitamix or other powerful blender gives the soup a creamy texture. If you like tomato basil soup, add two cups of basil leaves to the blender and process it with the vegetables. Simmer as directed below. Try canned tomatoes in the wintertime for soup that warms the soul. Roast the canned tomatoes in the oven for 45 minutes. Reserve the liquid for blending. 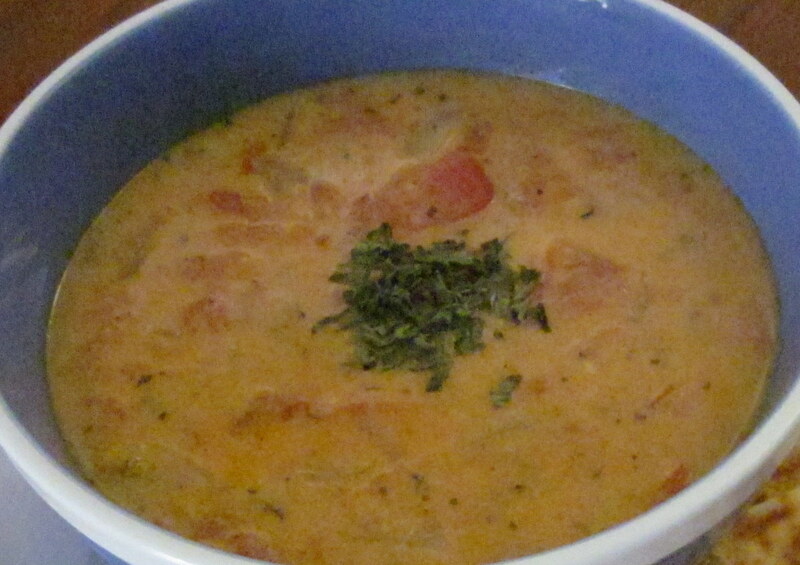 In Peru, bread is often used to thicken soups. Easier, quicker, and lower in fat than making a roux with butter and flour, it also contributes to a silky soup. 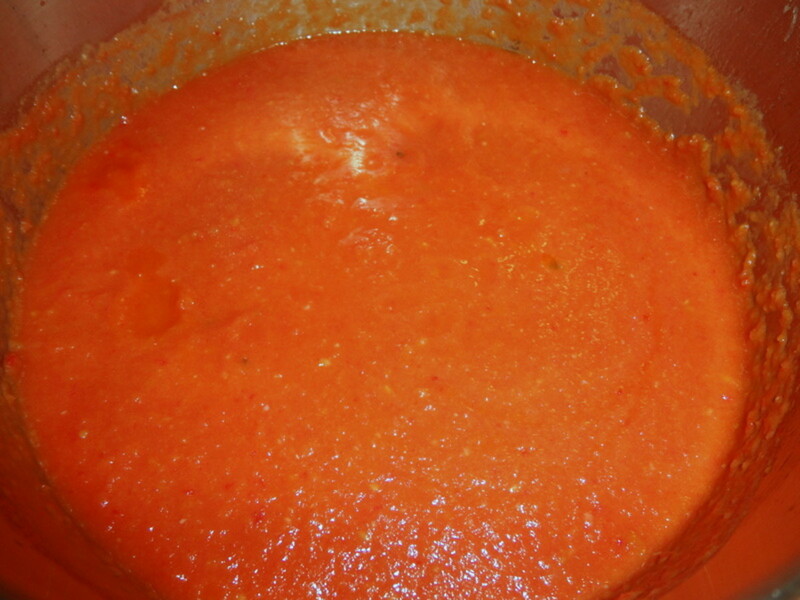 Because the water content of fresh tomatoes varies, sample the soup at end of the cooking time. You can thin it with broth, cream or milk. If you need it thicker, you can add bread. Fresh basil pesto makes a great addition to homemade tomato soup. TOPTENWATCHES, I'm glad you're going to try this recipe! Enjoy and thanks for stopping by. JPSO138, I'm glad you're going to try this soup. It's perfect for Fall weather. Enjoy! My wife and I are always looking for new recipes. Thanks for the soup recipe. I love tomato soup with grilled cheese sandwiches. We will be trying this out shortly. I will certainly try this out. I love tomatoes and from the looks along, this is certainly great. 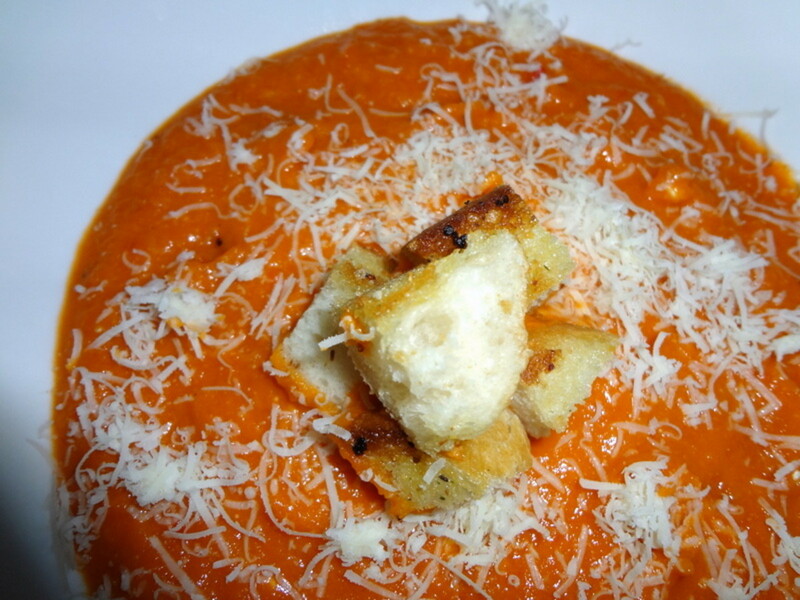 sgbrown, I hope you do get to try this delicious homemade tomato soup. Yes, please link and I'll do likewise, as well. Thanks for the votes and share! Enjoy your weekend. Vibesites, tomatoes are a versatile fruit. Enjoy the soup! It's a perfect way to warm up on a cold winter day. 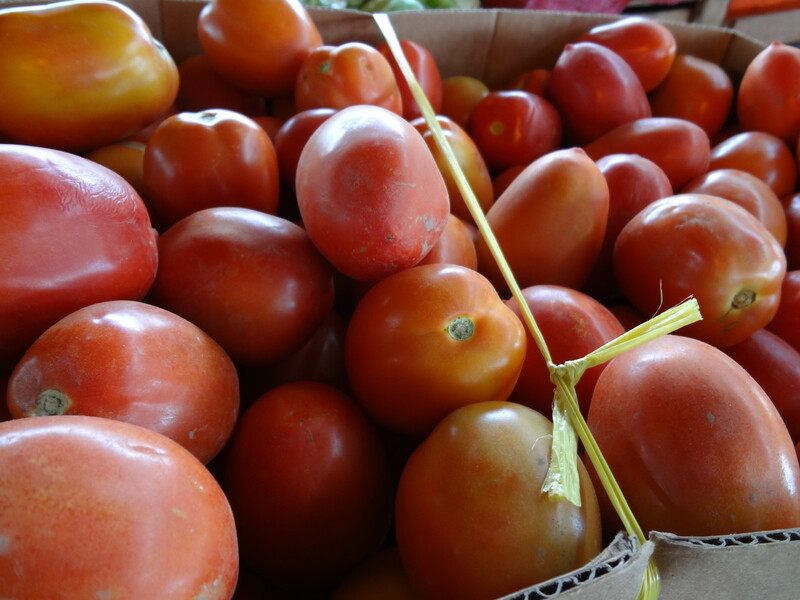 Prasetio, tomatoes are inexpensive and easy to find in many parts of the world. I'm glad you enjoyed the recipe! Thanks for coming by. You make me hungry, my friend. 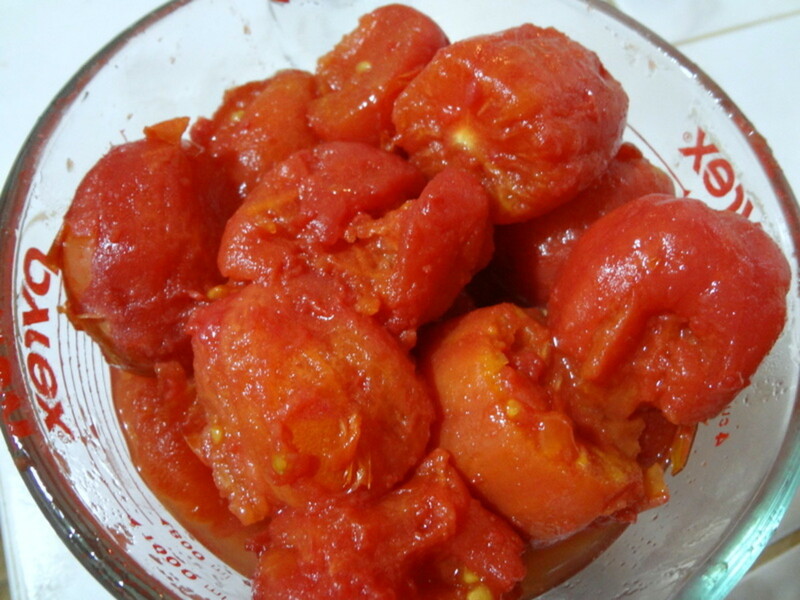 I really love tomato and I am glad you want to put it on your recipe. Thanks for writing and share with us. Voted up up up up! I'm glad you appreciate a warm bowl of tomato soup! And it's so healthy, too. Thanks for all the votes! 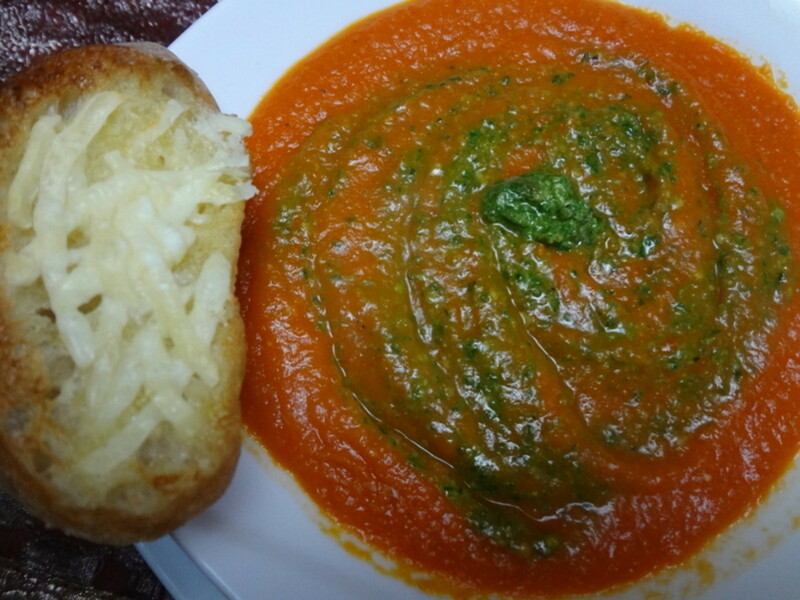 Roasted homemade tomato soup with fresh basil pesto. Does life get any better than this? Thanks for your great sounding recipe. All kinds of up votes and another 5 stars! Yummy! I love tomato soup. Thanks for this recipe, I´ll make one later. Voted up and SHARED. Thank you, Flashmakeit! Yes, this soup really is delicious and especially so when paired with a hot sandwich. Enjoy! 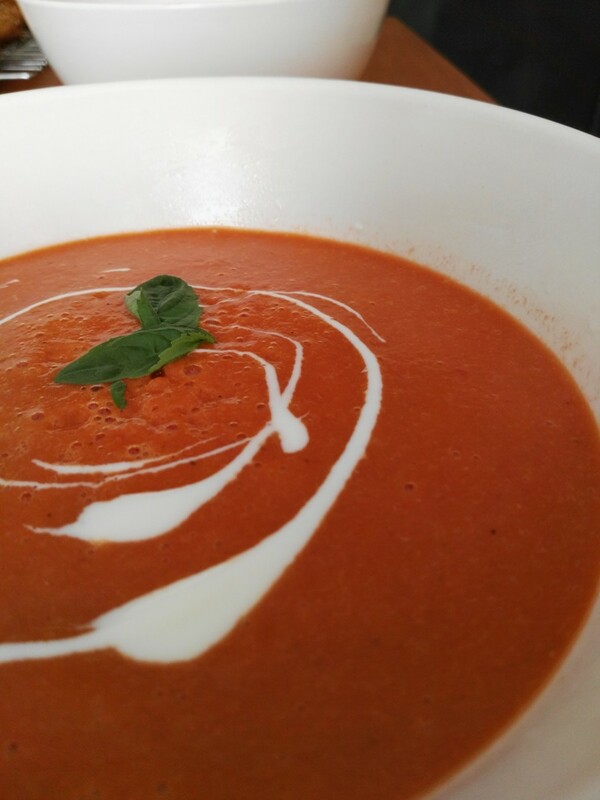 Congratulations and I must try to make this thick and creamy tomato soup! The produce from California is always so delicious, too. 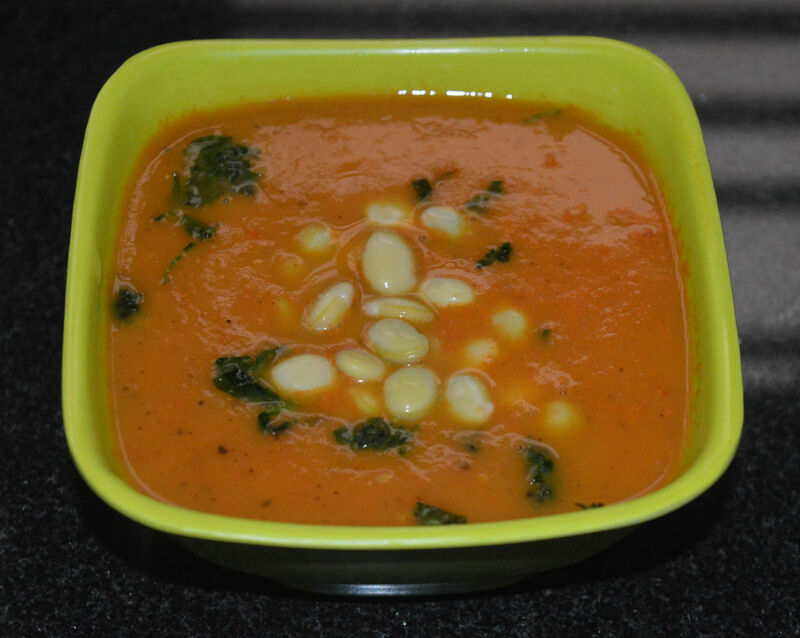 Tomatoes are one of my favorite veggie/fruits and this soup is a great way to enjoy them. Thank you for coming over, alocsin! 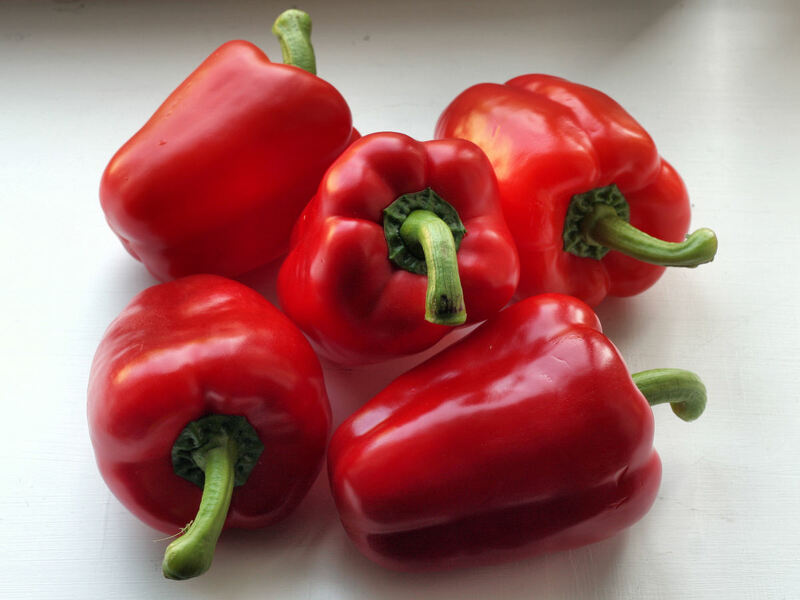 We get a lot of tomatoes here in Southern California, and I'm happy to find another way to use this delicious vegetable (which is actually a fruit). Voting this Up and Useful. Nifwlseirff, this recipe is just perfect for those who have a bumper crop of garden tomatoes. Enjoy! 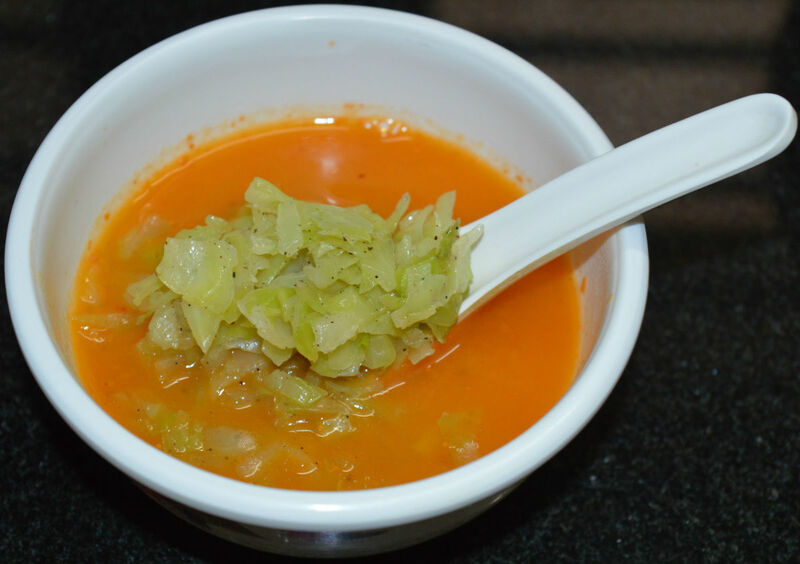 This is my husband's favorite soup and I love to make it for him since it's all natural and not fattening. Thank you for coming by. So delicious, a great way to use some of up my mega-crop of tomatoes! Now, if only the basil had grown as well! Jean Rogers, your fig jelly sounds delicious! Yes, we get so many goodies from that beautiful area. The fig season will start in December and I can hardly wait. Thank you so much for taking the time to read and comment. This looks amazing! Speaking of figs, we just canned a batch of fig jelly after scoring some fresh figs. Based on the food you described, La Yarada sounds wonderful. CyberShelley, I'm glad you like the recipe for this tomato soup. Thank you for the comment and vote! Homemade tomato soup and thick grilled cheese sandwiches are the ultimate cold-weather comfort food! Enjoy the soup and thanks so much for taking the time to come over and visit me, KoffeeKlatchGals. It sounds heavenly. I will be making it. I cna't wait. I love tomato soup and nice thick grilled cheese sandwiches. Up, useful and interesting. What I wouldn't give for some garden fresh tomatoes! Yes, this soup is great for using up lots of tomatoes. I also have a hub for fresh and cooked salsa and spaghetti sauce made from fresh tomatoes. Tomatoes are so cheap here, I use them a lot in my cooking. Thanks so much for reading and commenting, MargaritaEden! This looks absolutely delicious, I love tomato soup, but never actually made one myself, I think it's a good time to try since I have freshly grown tomatoes in my garden. Wonderful recipe, sharing it. GlimmerTwinFan, it is a very healthy soup and my husband's favorite! He asks for it often. Thank you for the comment and vote. Voted up! Your recipes get better and better and this one is so healthy. Thank you for your enthusiastic comment, unknown spy! 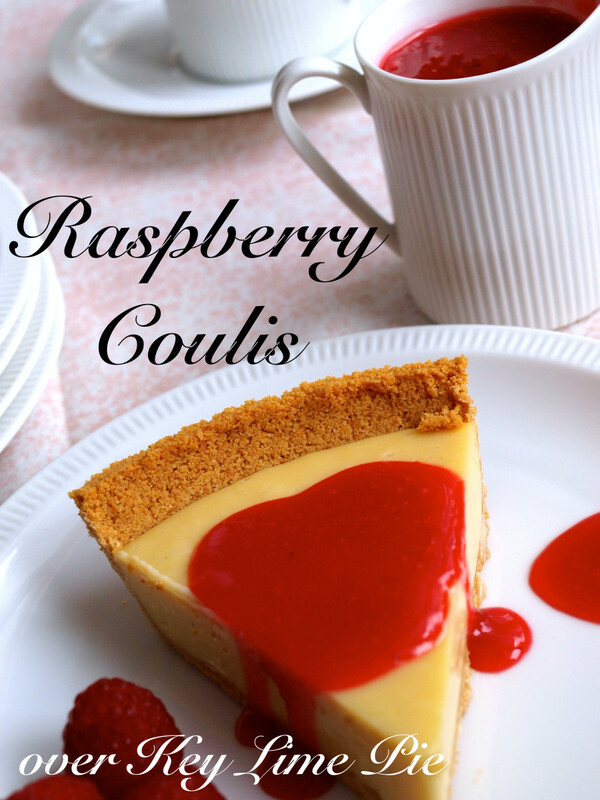 oh my my..i love this recipe! Mama Kim 8, I'm always happy to see your avatar. : ) I'm glad you liked the hub. Thanks so much for the vote and pin! How did I miss this?! Wow, looks amazing ^_^ mmmm... I bet it's especially tasty with the pesto. Voted a bunch and pinned! Thank you for your comment, randomcreative! Enjoy the recipe. This looks delicious! The addition of pesto is a great idea. BakingBread-101, thanks so much for taking the time to come by. My husband is also a big fan of tomato soup. I can't believe you still have triple digit weather! It's cold here, so it's perfect weather for soup. Enjoy the recipe. My little girl LOVES tomato soup. I will be making this for us when it gets cooler outside (okay, so it is still triple digits here)! Thank you for a perfect sounding recipe! LetitiaFT, the quenelle is an interesting concept. If they make it in Paris, it has to be delicious! Enjoy the recipe and have fun experimenting. Thanks so much for reading and commenting! They're a very versatile fruit, Mhatter99. I always enjoy hearing from you. Just the soup to try out my new Magimix food processor on! I had great tomato soup at a restaurant here in Paris the other night. They served it with an avocado "quenelle," which I figured out they thickened with almond flour to keep its shape. I'm going to experiment with the idea, and make this soup to go with it! So timely, thanks. Emilybee, enjoy the soup! There's nothing like homemade. Thanks so much for taking the time to read and comment. 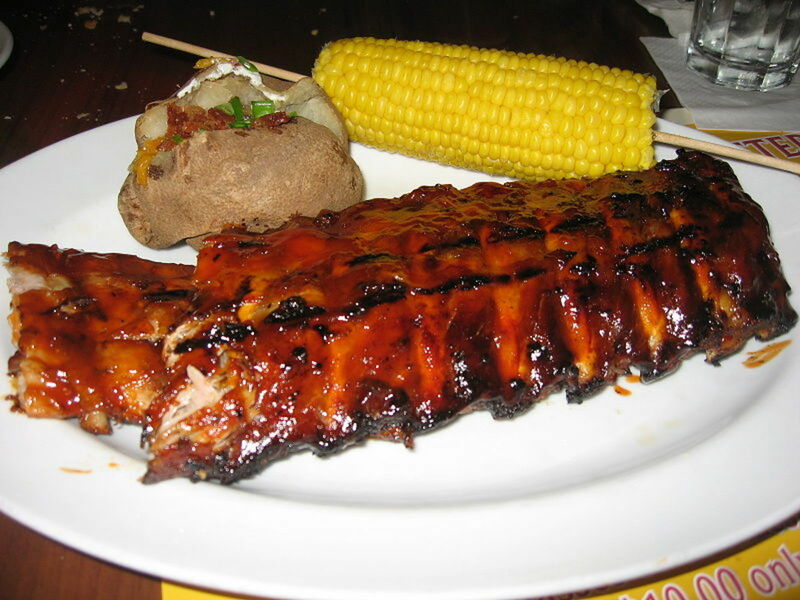 This looks absolutely delicious and your photos are mouth-watering!!!! Will try this sometime for sure. JThomp42, thank you for dropping by! Chef-de-jour, it is hard to beat this classic combo. It's a great way to use summer's bounty and enjoy others' generosity. You're so right. Thanks for the vote! Om Paramapoonya, you're right about the bread. It thickens the soup nicely and gives it a nice, smooth texture. Thank you for the vote and comment! JackieLynnley, enjoy the soup! It warms you up from the inside out. Thanks for your comment! VictoriaLynn, I actually enjoy this soup even more in the wintertime when all I have are canned tomatoes. Thank you for taking the time to read and comment! Ignugent17, I hope you have a chance to try the soup. There's nothing like homemade! I appreciate the vote and pin. ChristyWrites, thank you so much for the kind words. It's always nice to hear from you! Looks very healthy as well as tasty. Lovely lovely, fresh toms and basil, what a wondrous combination. Your hub is useful and also conjures up images of the countryside and its generous people. Simple yet enriching recipe, thanks very much. I'll vote for this. I love cream of tomato soup so I know this has to be good. I won't be long trying it, thank you so much! I love tomatoes. This looks awesome! Can't wait to try this next summer with fresh tomatoes, but I may have to make it this winter with canned ones. Thanks for the awesome recipe! Thanks for sharing vespawoolf. it is very healthy and looks good too. Voted up and pinning. Tomatoes have so many benefits and this will make a good fall dish. In particular I like the intro before the hub as it is well written. Yes, it's very healthy with all those fresh veggies. : ) Thanks so much for the comment and share, Carol7777! Looks like good tomato soup and of course it is very healthy. Thanks for sharing.